Tom Piergrossi, award-winning landscape designer and horticulturist with a passion for plants, particularly tropical, is owner of Kaloli Landscape in Kea’au. Located on the Big Island of Hawaii, he provides landscape design, installation and maintenance services. He is also owner of Vintage Green Farms, a wholesale and mail order nursery specializing in rare and unusual plants. When Tom moved to Hawaii in 2009, he left behind a much-admired San Diego garden and closed his Vista nursery, a mecca for plant lovers around the county. Now, after five years on the Big Island of Hawaii, he has created a new garden suited to the tropical climate of his new home. "The climate and plants might be different, but the principles remain the same any place you garden," he says. In his talk, Tom will draw on his new garden to illustrate basics of inspired, sustainable garden design and plant combinations. He also will introduce some new tropical plants suited to gardens here, available through his new mail order nursery, Vintage Green Farms. Tom studied Ornamental Horticulture at the University of Arizona, and after moving to San Diego, was mentored by Sinjen, a local landscape legend in Southern California and former SDHS Horticulturist of the Year, in the technique of lacing trees for sustainability and ornamental design. Tom was owner of Tom Piergrossi Landscape and Nursery in Vista, California for over 15 years, specializing in rare and unusual plants for our Mediterranean climate. 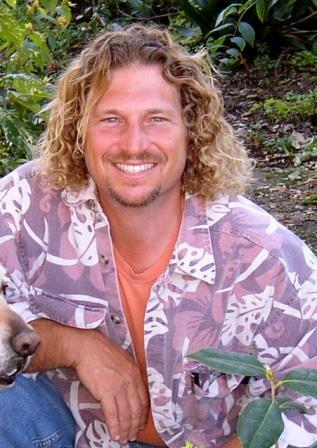 He was host and co-producer of Down to Earth, an award-winning monthly gardening show that ran for five years on the local San Diego County television network. Tom has been a highly sought-after lecturer at home gardening seminars and gardening clubs. There will be a special presentation before the speaker commemorating our 20th year!